The justification for the appearance of this book must be found in the need for a treatise on employers associations. 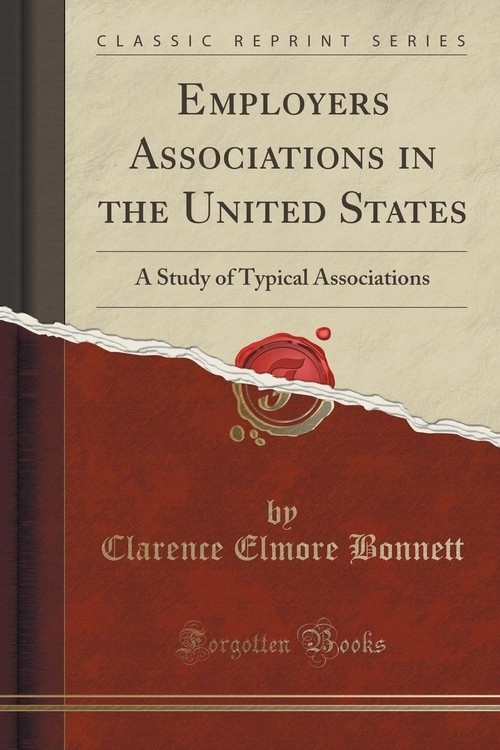 Books on trade unions exist in abundance, but no book heretofore has confined itself to a discussion of employers associations in the United States, or, for that matter, in any English-speaking country. Some of the books on trade unions, labor problems, and industrial relations have given a very brief treatment of the subject as incidental to an understanding of unionism. These brief treatments, however, have frequently been misleading, both as to the importance and character of the association movement. The association movement has been too important, has bad too profound an effect upon American institutions, has been of too great social significance to have deserved thus to be passed by almost unnoted.